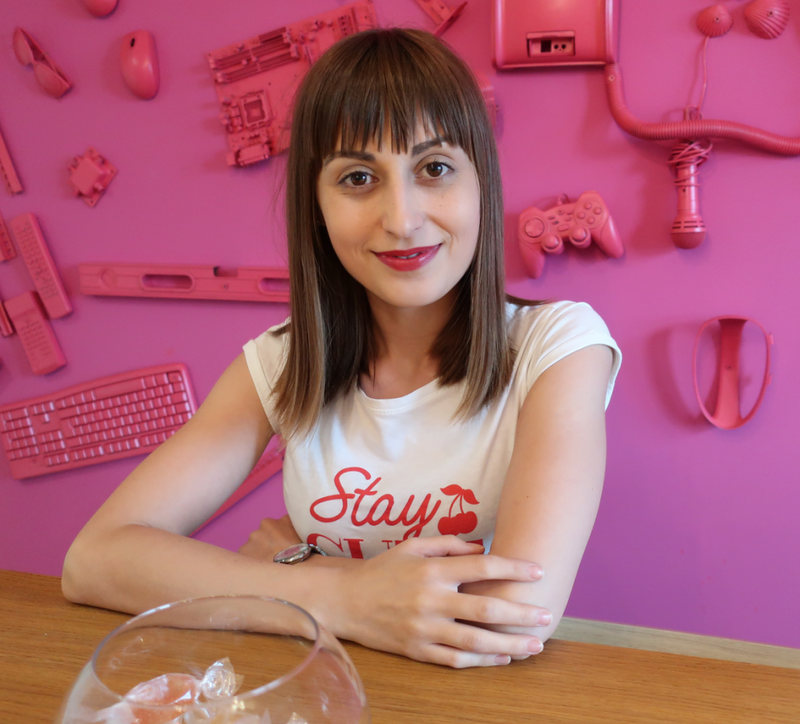 Oana joined the Iasi Yonder Team as a Junior QC Engineer a year ago and she has been a valuable member of her team ever since, not only as a professional, but also as a supportive and cheerful presence in their daily Life@Yonder. ”I got my first job three years ago. At the time, I was just trying to discover my path. I worked as a Help Desk Assistant at first, but I did not feel fulfilled by my job. I decided that I needed a change in my life and after a few weeks, I got in touch with a French company that offered me a job as a software tester. I was really excited about the opportunity, to the point where I had “butterflies in my stomach”, but after almost a year, I realized that I was stuck – I didn’t feel like I was growing anymore. And then it happened! An old colleague of mine asked me to meet and mentioned that I should apply for a testing position at Yonder. She told me a little bit about the company and what determined my decision to apply was the fact that I wanted more – I wanted to learn, I wanted to develop, to improve my skills and to be a great tester. Now I am one year old at Yonder. I compare myself to a little baby dragon who learned how to fly and feels like his life has just began. I learned more during this one year than I did in college or at my previous jobs. Some might say that if I wanted to develop myself as a software tester I could have done it anywhere, but I don’t think the same. What had been missing was not the will, but the challenge, the people, the environment. The first three months were intensive –there was a lot of information to digest. I started using many tools that I did not use before and I started working with SCRUM. I now trust myself more than before. Although this hasn’t been easy, there’s still a long road ahead towards what I want to achieve and this is just the beginning. I had many challenges to surpass, such as: proper communication with all team members, getting used with the tools and agile system, understanding of the application, developing my technical skills. To overcome this, I started to be more active in the meetings, to read technical books, watch tutorials and ask for help when I felt stuck. Don’t get me wrong, I still find it hard to express myself in the SCRUM meetings and ask questions, but I think that I am on the right path. Another thing that I learned at Yonder is that the focus is not only on software development, but also on people. Since I started working here, I had the chance to participate in testathons, workshops and to be involved in the summer internship. Also, the constructive feedback is provided on a daily basis and it helps me figure out what steps I have to take in order to improve myself. At Yonder I began to feel that fun and work can go sometimes hand in hand. We have a cluster for testers and at our monthly meetings we gather new ideas for events combined with a cozy environment, laugh and joy. We make presentations with the testing strategies of each project, review conferences that some testers attended, we do a lot of testing exercises and of course, fun activities – like going out, playing board games at the office or visiting a “beer factory” (loved that one 😊). Unfortunately, there is another thing I find difficult – summing things up. This is not the end of the story, this is just the beginning of a new adventure for me.